Because the symptoms of post-traumatic stress disorder can be difficult to cope with, many people with PTSD may suffer from low self-esteem, making it important that they learn how to improve their self-image. In addition, individuals with PTSD experience other difficulties, such as depression. As a result, they may experience negative thoughts about themselves, resulting in low self-esteem and feelings of worthlessness. Therefore, it is very important to learn how to catch these thoughts and combat them with positive thoughts. In doing so, you can serve as your own source of social support. Unhealthy thinking patterns can be difficult to identify. Self-monitoring can be an excellent way of increasing your awareness of your thoughts and how they impact your mood and behaviors. Negative thoughts can be hard to get away from. They often stick in your mind, and sometimes, the more you focus on them, the stronger they get. Therefore, it can be important to develop ways to distract yourself from them. There are many distraction techniques that may be helpful, such as deep breathing, self-soothing, ​and mindfulness. Distraction is not about avoidance. Using distraction won't necessarily make those thoughts stop or go away. They may help you, however, take a step back from them, slow them down or reduce their intensity, making them easier for you to address. What evidence do I have for this thought? What evidence do I have against this thought? Are there times when this thought hasn't been true? Do I have this kind of thought when I am feeling OK as opposed to feeling sad, angry or anxious? What would I tell someone else who was having this kind of thought? What may be an alternative explanation? You can further counter those negative thoughts by using positive self-supportive statements. For example, you can list all of your good qualities, tell yourself about what you have accomplished recently that you are proud of, or tell yourself that it is okay to feel anxious. You can also list things that you are looking forward to in the next week and ask yourself what are some positive ways you have changed recently (either through treatment or just on your own). Lastly, describe a time when you handled your PTSD symptoms well and tell yourself that your feelings are valid and important. 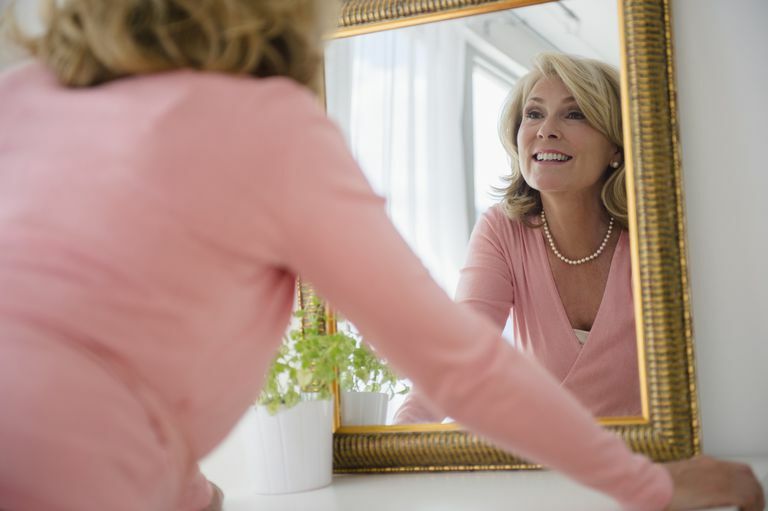 When you are upset, it might be hard to come up with positive self-supportive statements. Therefore, it can be important to write out some positive self-supportive statements on a note card and put that note card in your pocket or purse. Whenever you are feeling upset, take out that note card and read off those positive self-supportive statements. You don't have to only use positive self-supportive statements when you are upset. Use them each day. Positive thinking can help prevent the occurrence of negative moods too. Don't only practice this coping strategy when you are really upset. At first, ​it might take a little bit of time before you really get the hang of certain coping strategies. Therefore, it can be important to practice them when you are just mildly upset. The more you practice, the more likely a coping strategy will become a habit. Not all coping strategies work all the time. Identify times when this strategy might work best for you and other times when it might not. If you find that it doesn't work for you in a certain situation, try not to get discouraged. This is important information. This information will prepare you to better handle that situation next time it comes up.